Michael Guerin’s stunning free-kick was the highlight on a night when Ross Mann scored twice as Limerick earned their first points of the Under-19 Promotion Playoff Group with a 4-1 win over Mervue United at Annacotty on Wednesday evening, scoring four times in the final quarter. Having survived some scares from their Galway opponents, Limerick hit the front midway through the second half when Shane Walsh set Mann on his way and the young forward finished confidently to the net. On 75 minutes, another good team move ended with Mann turning creator for Cian O’Donoghue to lift the ball over the ‘keeper. Guerin then earned himself a free-kick after a mazy run to the box, with the left-back stepping up to fire in a wonderful set-piece. 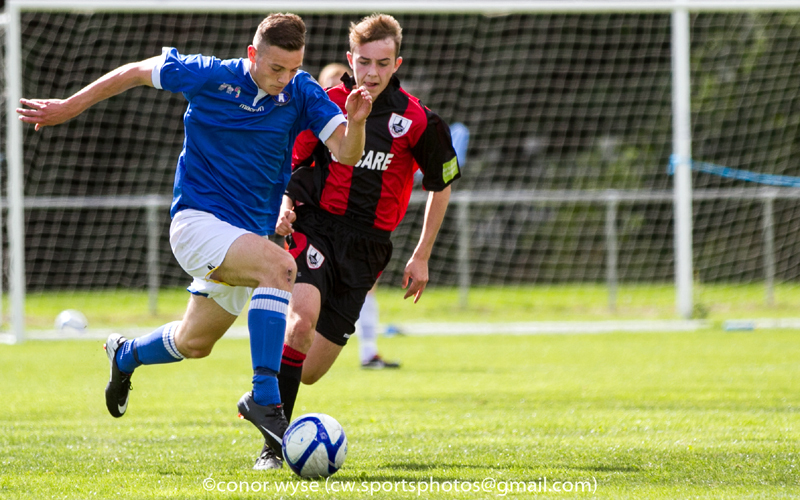 Mervue scored a late consolation with a close-range finish, but there was still time for the young Superblues to find a fourth as Jack Lynch supplied a low cross for Mann to drill home. Manager Tommy Barrett again started with a young team, against a Mervue side who they had beaten three times during the Southern Division season. But it was the visitors who should have been ahead on 25 minutes when they were left in a one-on-one with Nathan Murray but the ‘keeper blocked the shot well. Shortly after, a Limerick corner was cleared only as far as Matt Keane on the edge of the box and his rasping shot flashed just past the post. O’Donoghue then put in a good low cross to the feet of Mann but his shot from a difficult angle flew across goal. O’Donoghue then looked to have gotten through, lifting the ball over the out-rushing ‘keeper who collided with him, but the linesman’s flag had gone up in what looked a marginal call. On 38 minutes, Mervue again should have been ahead when a poor pass in defence from Keane left their striker in but, with plenty of time to pick his spot, his shot was brilliantly blocked by Murray. At the other end, Ross Fitzgerald’s corner was attacked by AJ O’Connor at the back post but his effort drifted wide, as the sides went in scoreless at the break. On 52 minutes, Limerick put good pressure on the Mervue defence, threatening three times in the space of 60 seconds. Mann was the first to try his luck but the ‘keeper gathered, before Seán McSweeney had an effort blocked before another from him went wide. O’Donoghue’s shot suffered the same fate soon after. 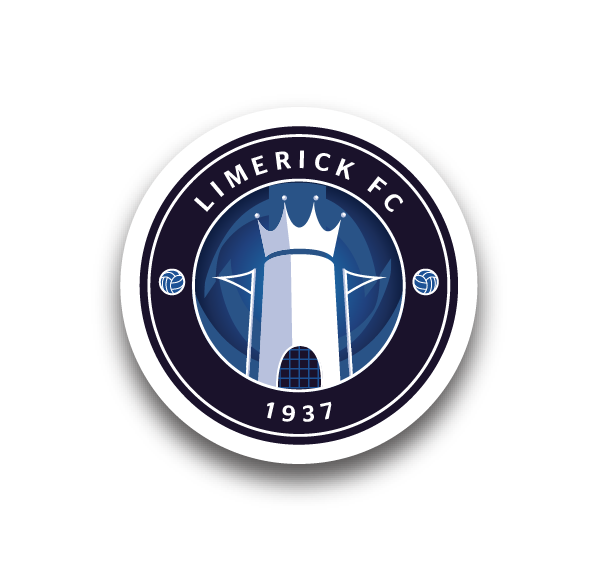 Past the hour, Mervue went close with a low 20-yard strike that narrowly missed the bottom corner, and four minutes later, Limerick broke the deadlock. A brilliant pass over the top by the impressive Walsh set Mann free, the forward latching onto the ball before setting himself and blasting past the ‘keeper from inside the box. Mervue almost replied immediately with a long-range lob but it went over, and then O’Donoghue shot off-target from a promising position. The young winger then hit a free-kick wide when well placed just outside the box. But it was O’Donoghue who was next to strike for the hosts as a good team move ended with Mann playing him in and he finished well over the visiting netminder. 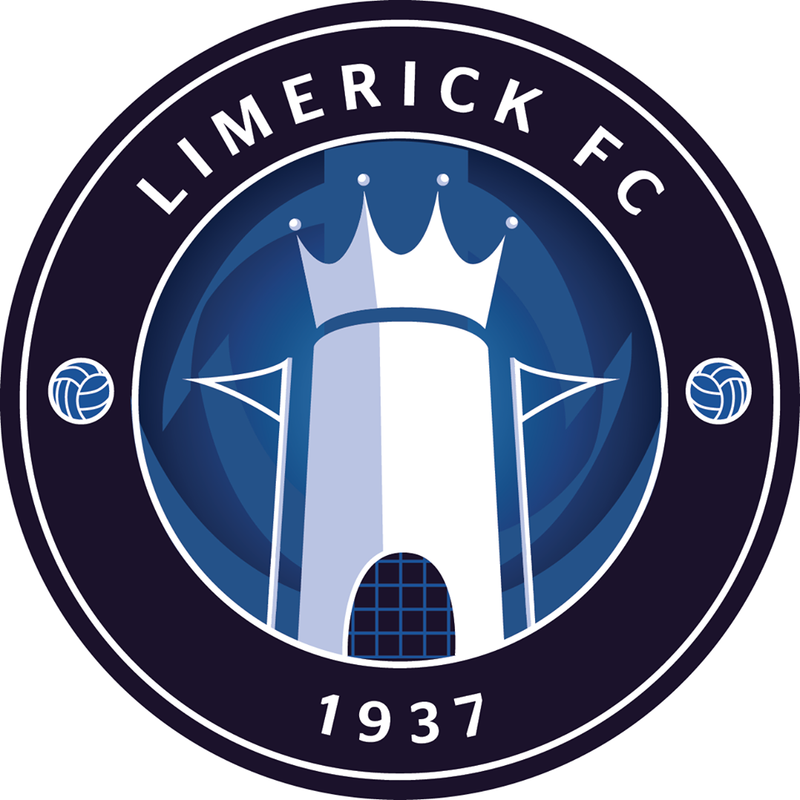 On 84 minutes, Limerick made it 3-0. Guerin launched a mazy run forward and was almost in the area when he was taken down. The left-back stood up and drilled a superb free-kick to the net from 20-yards. Mervue reduced the deficit with a close-range finish on 88 minutes, but right on the 90, Limerick made it 4-1 after good work by Lynch and his low cross was finished to the net with a powerful strike from Mann. The game was Limerick’s last home one of the season. Next up for them is a trip to Sligo to face Derry City on Saturday afternoon. Limerick: Nathan Murray, AJ O’Connor, Paudie O’Connor, Conor Maguire, Michael Guerin, Seán McSweeney, Shane Walsh (Jack Lynch 82), Matt Keane (Mark Hoban 62), Cian O’Donoghue, Ross Fitzgerald (Evan Cusack 77), Ross Mann. Goals: R Mann (67, 90), C O’Donoghue (75), M Guerin (84). Unused Subs: Paul O’Leary (GK).